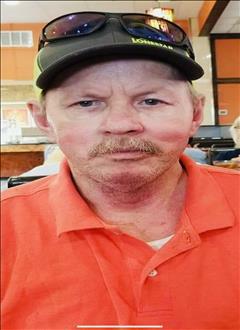 Bruce Eugene Foster 60 of Sweetwater TX passed away Sunday February 10, 2019 at Hendrick Hospice Center in Abilene. He is survived by his wife Jenifer Ann Foster of Sweetwater and his son R.J. Foster and wife Hillary and grandson Jaxon Foster of Sweetwater, and new grand baby due in April. He is survived by his brothers: Kenneth Michael Foster and wife Brenda of Sweetwater TX, Herman Benton Foster of Sweetwater, Lanny Bryant Foster of Snyder, Terry Dean Foster and wife Pam of Arizona. He is also survived by his father Elbert Kenneth Foster and step mother Susan Foster of Rotan and several nieces, nephews, cousins and many friends. Sister in-law Ronalda Jane Polk of Lubbock Brother in-law Curtis Anthony Hutchinson of Sweetwater nephew Glenn Hutchinson of Sweetwater. Bruce was preceded in death by his mother Vanetta Jean Foster. To send flowers to the family of Bruce Foster, please visit our Heartfelt Sympathies Store.